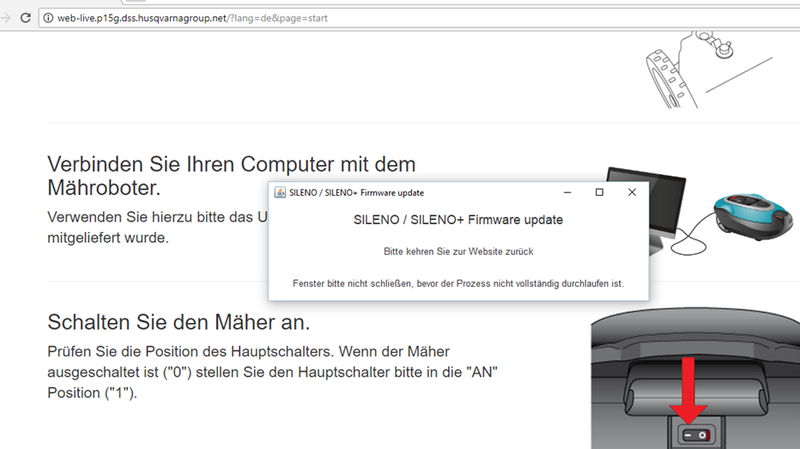 Gardena uses a local Java application (p15g-client) combined with their website to perform firmware updates on the Sileno mowers. While this is a nice approach, Gardena does not mention cases in which the local drivers for the USB interface are not installed automatically, e.g. where automatic updates are disabled or running via local WSUS server etc. Install the STM32 x64 drivers package from this site. Afterwards, check your Windows Device Manager. It should recognize a new virtual COM port after your mower is connected and switched on.